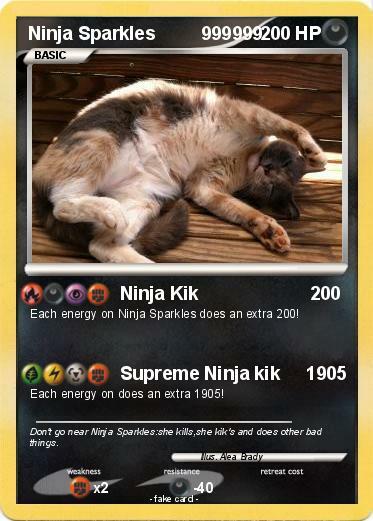 Each energy on Ninja Sparkles does an extra 200! Each energy on does an extra 1905! Comments : Don't go near Ninja Sparkles:she kills,she kik's and does other bad things.